Add some sea life to your designs with this charm from B&B Benbassat. This charm is shaped like a curving seahorse full of beautiful detail. The front is textured and dimensional, while the back is recessed for a lightweight option perfect for any design. Dangle it in a charm bracelet, add it to earrings, try it in a necklace, and more. A loop at the top of the charm makes it easy to add to designs and you'll love the versatility of the bright silver color. Try this seahorse charm in your designs today. Give your jewelry designs beachy style with this B&B Benbassat charm. This charm is in the shape of a seashell complete with a grooved surface. The back of the charm is recessed, for a more realistic look. A loop is attached to the top, so you can easily add it to designs. You can use this small charm in a variety of designs. Dangle it from earrings, add it to an eclectic bracelet, or try it in a necklace. The versatile silver shine will work with any color palette you have in mind. Put some fun sea life into your jewelry designs with this charm from B&B Benbassat. This charm is shaped like a curving seahorse full of beautiful detail. The front is textured and dimensional, while the back is recessed for a lightweight option perfect for any design. Dangle it in a charm bracelet, add it to earrings, try it in a necklace and more. A loop at the top makes it easy to add to designs. 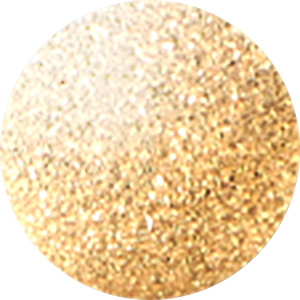 This charm features a deep brassy gold color full of vintage appeal. For distinct style, try this B&B Benbassat pendant in your jewelry designs. This pendant is shaped like a detailed fish skeleton complete with rows of bones. It's a great accent for men's jewelry designs, especially if they enjoy fishing. A loop at the top of the fish's head makes it easy to add to designs. Dangle it from a ball chain necklace, add it to earrings, use it on a key ring, and more. It features a versatile silver shine that will work with any color palette. Add the beauty of the ocean to your style with this charm from B&B Benbassat. This three-dimensional charm is shaped like a spiraling spindle shell full of texture and detail. You'll love pairing it with other shell components, sand dollars, starfish, and more. It's small in size, so you can use it in necklaces, bracelets, and earrings. It will make a wonderful dangle anywhere. The loop at the top makes it easy to add to designs. It features a deep brassy gold color full of vintage appeal. Get nautical in your looks with this B&B Benbassat charm. This small, flat charm is shaped like an octopus with swirling tentacles and cut-outs for eyes. You'll love adding it as an accent to all kinds of designs. Use it in a charm bracelet, dangle it from a necklace, or try it in earrings. The loop at the top makes it easy to add to your designs. This charm features a versatile silver shine that will work with any color palette. You'll love the fun ocean-themed look of this seahorse charm from B&B Benbassat. This small, flat charm takes on the shape of a seahorse complete with a curving tail and cute details decorating the surface. The back of the charm is plain. A small loop at the top of the charm makes it easy to add to designs. You'll love adding this charm to designs along with other sea life-themed components. Try it in necklaces, bracelets, and earrings. It features a deep brassy gold color full of vintage appeal. Get inspired by sea life with this B&B Benbassat charm. This small, flat charm is shaped like an octopus with swirling tentacles and cut-outs for eyes. You'll love adding it as an accent to all kinds of designs. Use it in a charm bracelet, dangle it from a necklace, or try it in earrings. The loop at the top makes it easy to add to your designs. This charm features a deep brassy gold color full of vintage appeal. Pair it with rich colors like olive green, navy blue, and more. Put beachy accents into your style with this B&B Benbassat charm. This charm takes on the shape of a scallop shell complete with a ridged texture. It's sure to make a statement in your jewelry designs. Showcase it at the center of a necklace, dangle it in earrings, and more. The loop at the top makes it easy to add to designs. Pair it with other beach-themed items for a look inspired by the ocean. It features a deep brassy gold color full of vintage appeal.